Originally built to showcase valuable artifacts, museums are becoming increasingly obsolete as paintings, sculptures and other objects are widely accessible online in high resolution accompanied by elaborate histories. 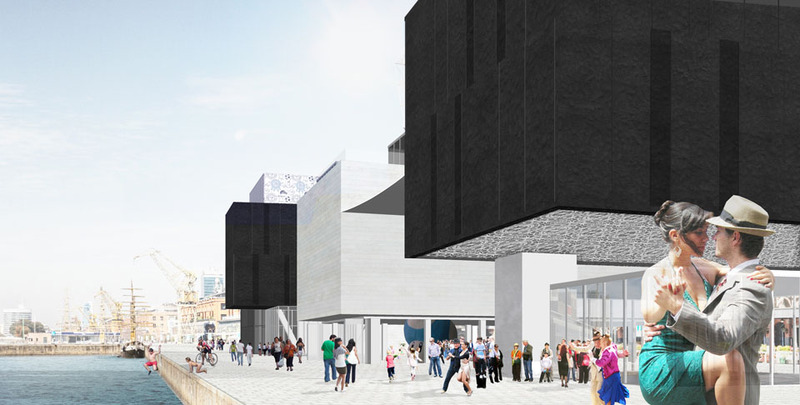 The museum as a building is impeded by its own physical existence as a result of its inconvenience, with accessibility and availability offsetting the drawback of not seeing the actual object in reality. This is all the more significant for contemporary art galleries as contemporary art, by its very nature, stretches beyond the traditional medium and could be appreciated through means which make actual visits unnecessary. Puerto Madero is a typical example of an industrial wasteland fast being transformed into a new urban conglomeration of bourgeois condominiums, offices and hotels. Similar to the Docklands of London, it is an area struggling to establish an unique identity. Even with its iconic bridges and historic warship, the neighbourhood lacks a distinctive character to make it a unique part of the city. Against the crisis of the museum and the backdrop of Puerto Madero, it is not ideal to introduce an iconic architectural spectacle in an attempt to imitate the Bilbao effect, but to create a building that is inherent to the spatial context of both challenges. The success of the museum is based on interaction, no matter with the art inside, the people visiting or with the surrounding neighbourhood. This distinguishes the museum from a mere objet d’art to hold artifacts to one which encourages juxtaposition between different elements of the city. 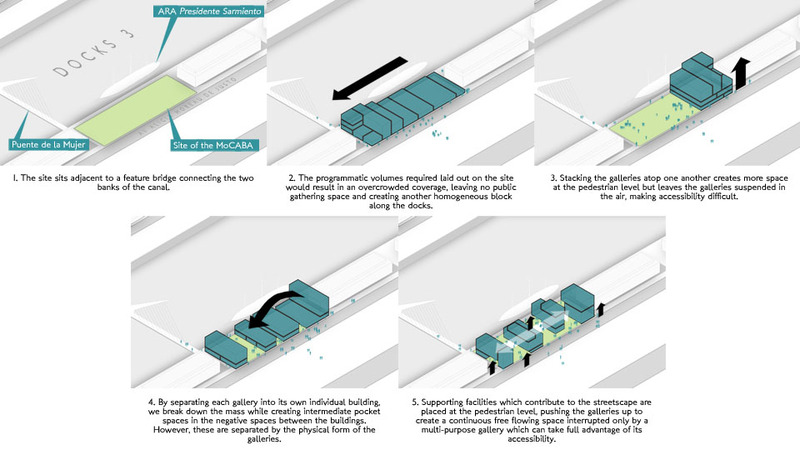 The museum becomes an indispensable part of the urban fabric, acting as the node which drives the livelihood of a neighbourhood. 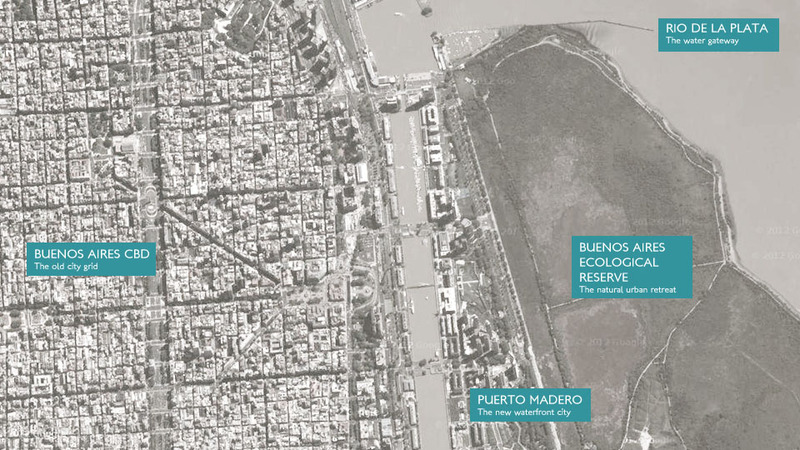 Likewise, through the introduction of an external force which upsets the mundane balance of the existing condition, the unique character of Puerto Madero driven by its contextual neighbourhood is revealed. Breaking down the museum’s barriers with the surrounding landscape, the design separates each gallery into its own separate building. 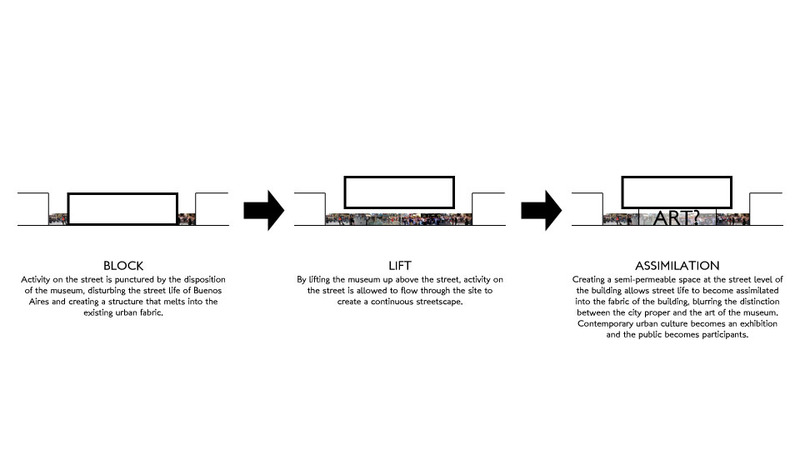 The resulting mass becomes harmonious with the surrounding texture of the city, while promoting activity to the street level and spilling the artistic culture of the museum onto the streets. 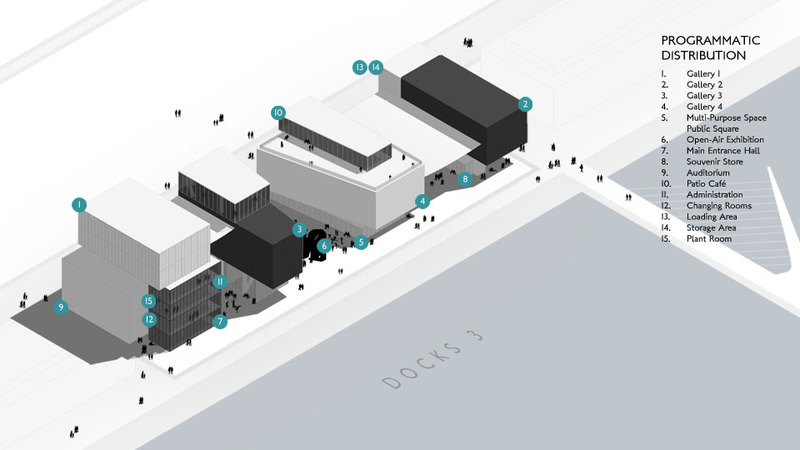 A large public space connects the historic canal with the fabric of the city, running underneath the galleries to create a free flowing relationship between the present and future landscape of the city. The form of the museum is deliberately constrained; instead, the activity generated by the placement and design of the museum becomes the driving force of the spectacle value. 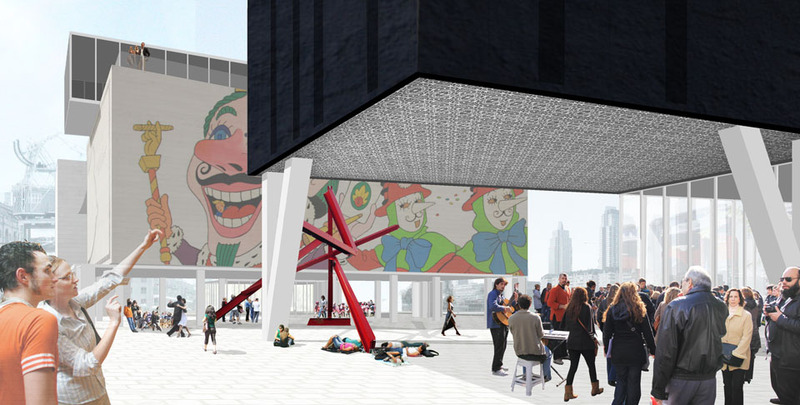 Rather than have a look at me building which offers little other than visual excitement, the design blends art with the city and culture of Buenos Aires, allowing street dances such as the tango to exist alongside the high art of contemporary Argentina. 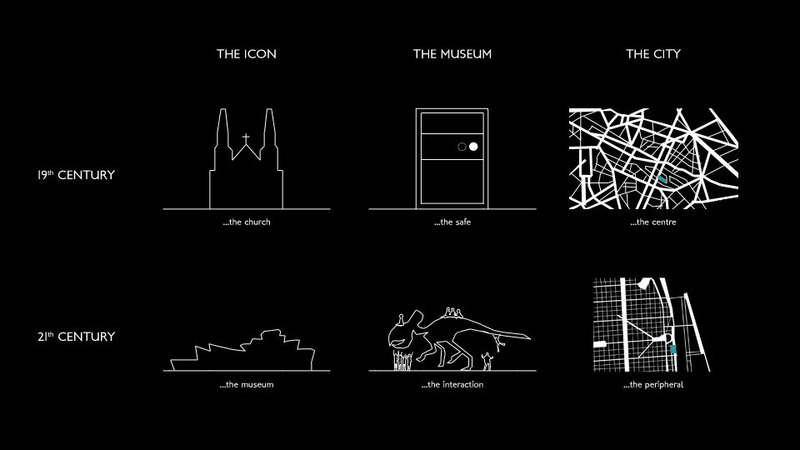 The museum as an icon is dead. 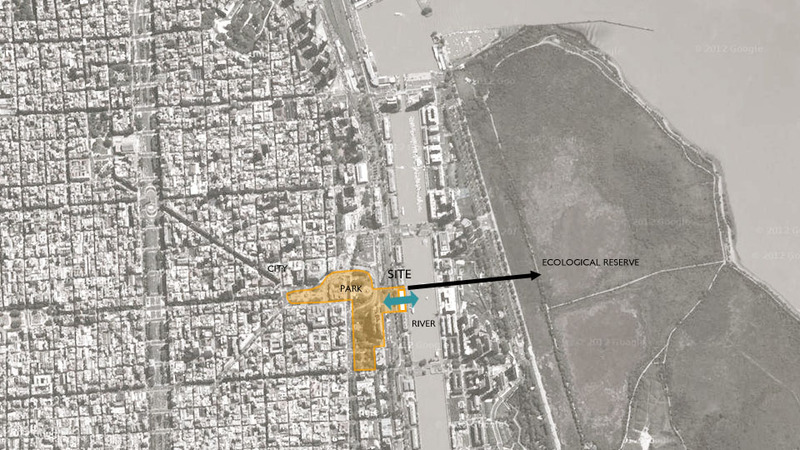 At Buenos Aires, activity becomes the place defining element of an edifice and its urban surrounding in a demonstration of the anti-icon.